Every single season the San Diego Chargers have been known to be notoriously slow starters as they just can’t seem to get things firing on all cylinders in the first half of the NFL regular season, but even though the same thing has happened this year as they lost five of the first eight games, Philip Rivers and company have found it tough to win games against divisional opponents like the Oakland Raiders and the Kansas City Chiefs. Obviously, no team in the AFC West division has had trouble beating the Denver Broncos besides the Kansas City Chiefs, but the San Diego Chargers are 0-3 against both the Kansas City Chiefs and the Oakland Raiders this season. With that being said, the San Diego Chargers are in danger of the longer being the dominant team with in the division as the Kansas City Chiefs lead the way with the Oakland Raiders not too far behind them. Coming into Week 14, the Chargers will have one last chance to contend for the division title as they will be hosting the Chiefs at home in San Diego. Usually, when the Chargers are playing on their home field at Qualcomm Stadium they are as tough to beat as any team in the league as they are 4-2 at home this season, but they are coming off a devastating loss to perhaps their most heated division rivalry against the Raiders who convincingly beat them on their home field with a 28-13 victory. The Chargers beginning to struggle and losing to a team like the Raiders on their home field, Norv Turner’s team seems to be pretty unpredictable at this point in time as they can either come out and play like the best team in the NFL or a team in desperate need of serious changes. As of right now, the Kansas City Chiefs will be the underdogs heading to San Diego with a point spread of -7 against them, but even though the San Diego Chargers are poised to get back on track this week against this team, I believe the Chiefs are more than capable of pulling off the upset. The one problem that the Kansas City Chiefs will face this weekend is at the quarterback position as Matt Cassel’s playing status is up in the air after undergoing an appendectomy this past Wednesday. Although the Kansas City Chiefs have failed to say whether or not their starting quarterback will be under center this weekend, even if he isn’t backup Brody Coyle will be willing and waiting to take the reins and lead this team to their ninth win of the season. So in my opinion I believe the best bet in this AFC West divisional showdown will be to take the Kansas City Chiefs at +7. As Super Bowl favorites coming into this one of the regular season, four-time NFL MVP quarterback Peyton Manning and the Indianapolis Colts couldn’t wait to get this year started as they were still feeling the sting of getting beaten by the Super Bowl champion New Orleans Saints last February. Unfortunately, the season got off to a rough start as the Indianapolis Colts loss to their division rivals Houston Texans in week one and whether or not this team was a legitimate Super Bowl title contender was questionable at best. Every single season the Houston Texans seem to give Peyton Manning and company a run for their money as they matchup with the Indianapolis Colts as good as any team in the league, but it was quite a surprise to see the team that almost went undefeated last season get beaten in the first game of the year. 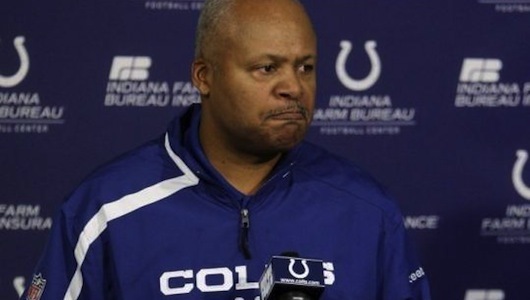 Even though the loss to the Houston Texans was hard to swallow for Jim Caldwell and his squad, the Indianapolis Colts were able to bounce back with a convincing 38-14 win over arguably one of the best teams in the NFL and the New York Giants. Despite the win over the Giants being seemingly just what the Colts needed to get back on track, Indianapolis suffered injury after injury and have failed to play consistently well throughout the entire season. In Week 13, the Indianapolis Colts played host to one of the most disappointing teams in the league and the Dallas Cowboys, but in the Jason Garrett era, America’s Team has come to life and become a force to be reckoned with once again this season. Needless to say, despite being the underdogs as they have been over most of the season, the Dallas Cowboys were able to give the Indianapolis Colts a run for their money from start to finish and eventually took this game into overtime where they came out with a 38-35 victory. This loss to the Cowboys was just another indication of how banged up this Colts team really is right now and how desperate they are for a win as they are sitting in second place in the AFC South division with a disappointing 6-6 record. Coming into Thursday night’s matchup against division rival Tennessee Titans, the Indianapolis Colts will have a perfect opportunity get back on track as they will be facing a team that is has fallen to pieces over the last few weeks of the season and have lost five straight coming into this matchup. Not only is the Titans offense one of the worst in the league right now as they are 31st in passing yards, but their defense is a much better as they can’t seem to stop anybody from lighting up the scoreboard. With Peyton Manning coming to town and the Indianapolis Colts in desperate need of a win to get back in contention for the AFC South division title, the Tennessee Titans will be in serious trouble on Thursday night as they will almost certainly get blown out by convincing margin. The Indianapolis Colts have dropped four of their last five games, most recently to the streaking Cowboys. Injuries have finally caught up to the veteran team and even Peyton Manning’s talents can’t overcome them. Manning himself is slumping. Throughout week 9 Manning has thrown 13 interceptions and only nine touchdowns. His teammates are banged-up. Tight end Jacob Tamme and receiver Reggie Wayne didn’t practice today and Joseph Addai and Austin Collie were limited. The four-time MVP may be forcing passes a little bit and trying to do too much. He doesn’t seem to trust teammates that are newly integrated in the offense. He’s been panicky in the pocket and misreading defenses all over the place. Manning can feel the pressure of letting this season slip away. Even with their recent struggles the Colts are still second in their division. They have three games against division rivals remaining and just might steal the division title from the Jaguars. Don’t hold your breath though because the Jaguars’ last two games are against a dysfunctional Redskins team and a struggling Texans team. If anything, it’s not safe to bet against Manning under any circumstance. It’s the regular season for crying out loud. We know that Manning is an exceptional season performer. Now, if this was the playoffs it would be a different story. I had to double check to make sure that Tom Brady has won only one MVP award. I seriously thought he had at least two. 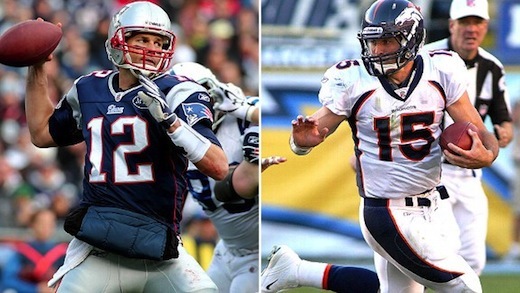 Of course, it’s tough to argue against the magnificent seasons of Peyton Manning, but Brady is a better winner. Manning can keep all the MVP trophies he wants. Still, Brady deserves the recognition this season. 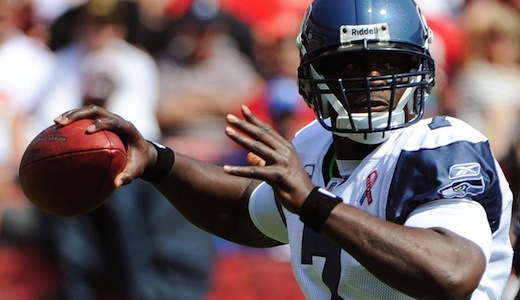 He is second in the league in QB rating (105.8), has thrown 23 touchdowns against only four touchdowns. And most importantly the Patriots are 9-2. 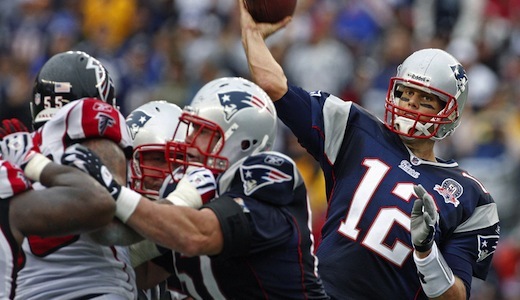 If he can lead the Patriots to a win over the Steelers, you can’t argue against Brady. Well, except against his hair. Vick is a legitimate MVP candidate. He has lost only one game as a starter, which brings his record to 6-1. Just hours ago he led the Eagles to a comeback win over the Texans and finished with 302 passing yards, two touchdowns and one interception. He also rushed for 48 yards and a touchdown. Numbers don’t show the whole story though. He made big plays down the stretch despite absorbing punishment the whole game. Rivers is by far the most important player to his team. He has virtually no weapons to work with and is still one of the league leaders in passing yards. 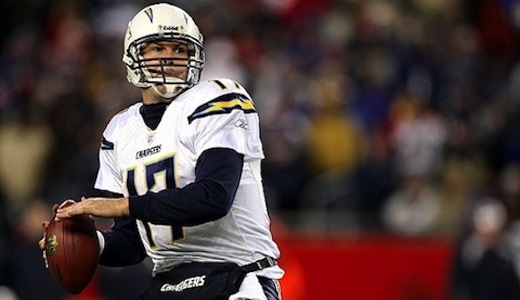 Only once Rivers has failed to throw for more than 200 yards. But the Chargers are going to have to win the next five games for Rivers to have a chance to win it. From a statistical standpoint, Foster is right up there. He has no chance to win it though because the Texans have dropped five of their last six games. It’s a shame that Foster’s chances are hurt by Houston’s inability to protect leads. He doesn’t only excel in the backfield but also as a potent screen receiver. All of us know that the Jets’ success is dependent on their defense, but Sanchez deserves some recognition. He has protected the ball and has executed the offense down the stretch. He’s not the level of Manning, Brady and Rivers but he knows how to win. Heading into Week 12, the Green Bay Packers and the red-hot Atlanta Falcons were set to do battle in what might be a preview of the NFC Conference championship game. Not only are these two teams arguably the two best teams in the NFC Conference right now, but this game was to determine which team could live up to the hype and come out on top. Even though the Green Bay Packers have played really well as of late with four straight wins coming into this matchup against the Minnesota Vikings (28-24, 31-3) twice, New York Jets (9-0) and the Dallas Cowboys (45-7), Aaron Rodgers and company were facing arguably their toughest challenge of the season against Atlanta Falcons who had won four win in a row as well against the Cincinnati Bengals (39-32), Tampa Bay Buccaneers (27-21), Baltimore Ravens (26-21) and the St. Louis Rams (34-17). Not only was this game huge to say the least for the Green Bay Packers in terms of competing with the best of the best in the NFC Conference, but it also had divisional implications for Mike McCarthy’s squad as the Chicago Bears were in first place heading into Week 12 and ultimately beat Michael Vick and the Philadelphia Eagles (31-26) to remain in first place. Obviously, the Bears had yet to play the Eagles and the pressure wasn’t on the Packers just yet, but the Cheeseheads definitely had it in the back of their minds coming into this matchup as a loss would mean they would be in an uphill battle in the NFC North moving forward. Despite a dominant performance by perennial Pro Bowl quarterback Aaron Rodgers who threw for 344 yards, two touchdowns (no interceptions) and ran for 51 yards and a touchdown, it just wasn’t enough to hold off Matt Ryan and company who played some flawless football and came out with the 20-17 victory. Matt Ryan might not have had a huge day numbers wise with just 197 yards and a touchdown, but he was as accurate as a star quarterback could be completing 24 out of 28 passes on the day. Not only did Ryan have a Pro Bowl caliber performance, but he was backed up by an impressive performance from running back Michael Turner who rushed for 110 yards and a touchdown on 23 carries. The one thing that was evident in this game besides the fact that the Atlanta Falcons are without a doubt the real deal and well on their way to a NFC South division title was the Green Bay Packers continued lack of a ground game. Yes, Aaron Rodgers had a good day running the football with 51 yards, but he is no Michael Vick and shouldn’t be running the football as much as he has. Without running back Ryan Grant coming out of the backfield, the Green Bay Packers have become one dimensional on offense and that may ultimately be their downfall come playoff time or down the stretch in the regular season. Not since 2002, when head coach Jon Gruden was able to lead the Tampa Bay Buccaneers to a Super Bowl championship against his old team in the Oakland Raiders, have Bucs really been relevant in the NFC conference. Back to the beginning of the decade, the Bucs had arguably one of the best defenses in the league and were without a doubt a force to be reckoned with in the NFC Conference every single season, but it seems with every passing season this team has just continued to fall apart with one of the worst offenses in the league and a defense that has been mediocre at best. This season the Tampa Bay Buccaneers came into the year without much hope for the future as they had seemingly the same team only won three games throughout all of last season. Even though no one expected much from this young Bucs squad, they have totally exceeded expectations at this point as they will have a 7-3 record coming into their Week 12 matchup with the Super Bowl title contending Baltimore Ravens. 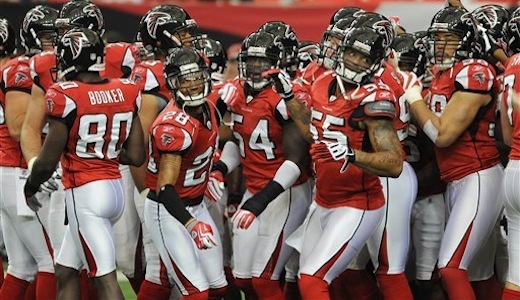 Despite having an impressive 7-3 record coming into Week 12, Josh Freeman and company are sitting in third place in the NFC South division and will need to get as many wins as possible from here on out in order to contend with the defending Super Bowl champion New Orleans Saints (8-3, 2nd place) and the Atlanta Falcons (8-2, 1st place). So with all the pressure of the Tampa Bay Buccaneers will face coming into this matchup and then facing off against the first-place Atlanta Falcons next week, the Bucs have their work cut out for them as they will be taking on two of the best teams in the league in consecutive weeks. As for the Baltimore Ravens, they are looking to maintain their lead in the AFC North division with a win of their own over the Tampa Bay Buccaneers. Even though they are arguably the best teams in the AFC Conference and in the AFC North division, they will have a tough road ahead of them to finish the season as the Pittsburgh Steelers are also sitting at 7-3 and the Baltimore Ravens will have to face the Tampa Bay Buccaneers, Pittsburgh Steelers, Houston Texans and the New Orleans Saints over the next four weeks. 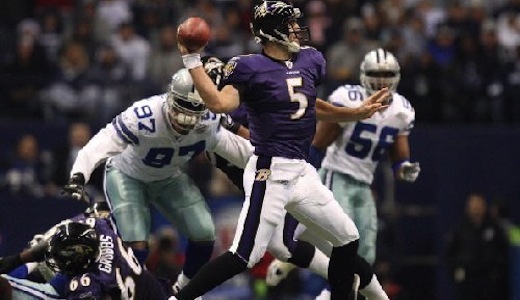 Despite the Tampa Bay Bucs obviously being a much better team and maybe even playoff bound this season, the Baltimore Ravens are heavily favored in this matchup with a -7.5 point spread in their favor. Personally, I can’t see Joe Flacco and company losing this football game as they are without a doubt the better team on both sides of the football, but taking them to cover the -7.5 point spread is risky to say the least in my opinion as the Bucs are being underestimated here and could make this a very close game. The Miami Dolphins and the Oakland Raiders will go head-to-head in Week 12 in what could be a very close match between two very good defenses. Both of these teams have shown some signs of promise during this NFL regular season, but if they expect to contend for a playoff spot at season’s end they will need to get back on track in this week. Even though the Oakland Raiders are coming off their worst loss of the season to the Pittsburgh Steelers 35-3, they will have a great opportunity here to turn things around and continue contending for the AFC West division title. Much like the Oakland Raiders, the Miami Dolphins are coming off their worst loss of the season as they were shut out by the Chicago Bears 16-0 in Week 11. Not only was the shutout disappointing to say the least, but it Dolphins have some serious problems at the quarterback position right now as they have lost both Chad Pennington (shoulder, out for the season) and Chad Henne (knee) to injuries. 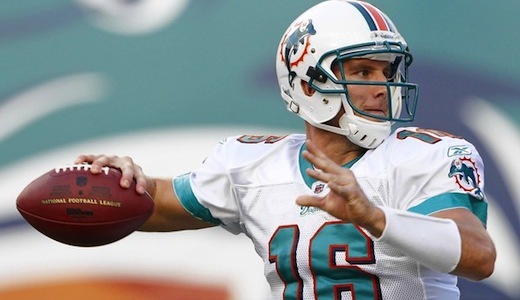 With both Pennington out for the season and Henne’s status for this game uncertain, the Miami Dolphins will most likely turn to Tyler Thigpen once again who had a miserable game last week against the Chicago Bears in which he threw for 187 yards and an interception. If Tyler Thigpen does get the start for this game and in all likelihood he probably will, the Oakland Raiders will without a doubt be the favorites in this matchup as they have played very well on the defensive side of the football this season as they are one of the best teams in the league against the pass (3rd in the NFL) by only giving up 193.2 passing yards per game. With the Oakland Raiders defense swarming the third string quarterback all day long, the Miami Dolphins offense will strictly be going to the ground game in which they have only averaged about 97.9 rushing yards per game (21st in the NFL) with running backs Ronnie Brown and Ricky Williams have a bit of a rough season. The spread for this game is yet to be released as the playing status of Chad Henne has still not been determined, but even if the Miami Dolphins best gunslinger gets the start this weekend at Oakland-Alameda County Coliseum, I believe the Oakland Raiders should just cruised to victory in this one as they are the better team in my opinion on both sides of the football. The one thing to look for in this matchup though will be the quarterback position for the Oakland Raiders as it has been rumored that Jason Campbell could be sitting in favor of Bruce Gradkowski. Personally, I don’t think it will matter which quarterback gets the start as the Oakland Raiders are one of the best running teams in the league with Darren McFadden leading the way. Every single season when the New England Patriots and Indianapolis Colts go head-to-head it always has the potential to be a game of the year as these two teams always go at each other with a never say die attitude as their rivalry has only gotten stronger over the years. Not only does this game showcase two of the best quarterbacks of all-time in Tom Brady and Peyton Manning, but both the Colts and Patriots are competing for a Super Bowl title this season as both teams played well coming into this AFC Conference heavyweight showdown. Needless to say, a win for either team in Week 11 would be huge, especially for the Indianapolis Colts who need to prove to the rest the league that they can beat the best of the best like they did last season. Unfortunately for the Colts, the Patriots were able to come out on top in this one as they basically dominated from start to finish, but in classic Colts/Patriots fashion, this matchup came down to the wire where it was anybody’s game. Even though the Indianapolis Colts are still one of the best teams in the league and always will be with four-time NFL MVP quarterback Peyton Manning under center, Jim Caldwell’s squad has had to deal with some costly injuries to big name players like wide receiver Austin Collie end perennial Pro bowl tight end Dallas Clark. Without his favorite target in the offense in Clark and the fact that the defense really can’t stop anybody, Peyton Manning and the Indianapolis Colts haven’t been that dominant team that everyone expected coming into this NFL regular season. Despite no longer being considered amongst the elite in the NFL this season, the Colts are still a very tough team to beat and Patriots head coach Bill Belichick knew that his team would be in for a long day. Even though the New England Patriots have been flashy team this season were gotten much attention besides trading away superstar wide receiver Randy Moss, they have been able to get the job done consistently and they did just that by beating the Indianapolis Colts 31-28. The score may seem close with only three points separating the two teams, but if it weren’t for Peyton Manning’s two touchdown passes in the last eight minutes of the game, the New England Patriots would’ve cruised to victory. At one point it actually look like the four-time NFL MVP might actually be able to lead his team to victory, but a costly interception was the difference between winning and losing. Once the New England Patriots got the football back and 31 seconds left on the clock, Tom Brady took one kneel down and improved his team’s record to an impressive 8-2. The Bears defense comes up big against the Dolphins. The Chicago Bears have been extremely streaky team this season has at times they’ve shown signs of promise both on offense and defense, but just like in the past, it has been superstar linebacker Brian Urlacher that have continued to bail this team out every single week. 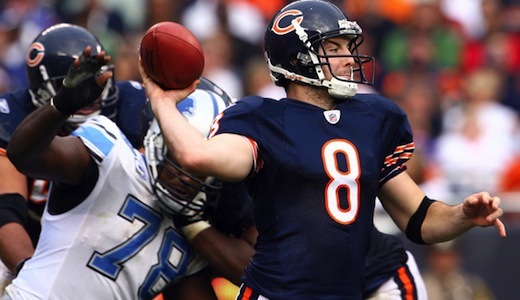 There is no question that Jay Cutler as a Pro bowl caliber quarterback that could ultimately go down as one of the best Bears’ quarterbacks of all-time, but the young QB has a terrible tendency for turn the football over when his offense is on the verge of just dominating their opponent. Much like future Hall of fame quarterback Brett Favre throughout his career, Jay Cutler is a quarterback that can throw for a lot of yards and a lot of touchdowns, but also a lot of interceptions which might ultimately be his downfall. With that being said, the Chicago Bears been the team that can put up a lot of points this season, but also a team that tends to lean on the defense a little too much as you never know what kind of offense to show up and how many turnovers could ultimately hurt this team. Coming into Thursday night’s matchup against the Miami Dolphins, the Chicago Bears were favored to come out on top, but not by much as the Dolphins have proved they are a force to be reckoned with this season. Even though the Dolphins were banged up at quarterback with both Chad Pennington (shoulder) and Chad Henne (left knee) going down last week, they had faith in third stringer Tyler Thigpen to step up and lead this team to victory for the second straight week. Unfortunately, Thigpen was made a non-factor in this game is the Chicago Bears defense just dominated all night long start to finish. Not only did the Bears defense force Thigpen to throw an interception and get sacked three times, but they were able to completely shut out this offense as the Dolphins failed to score all night long while getting the 16-0 win. 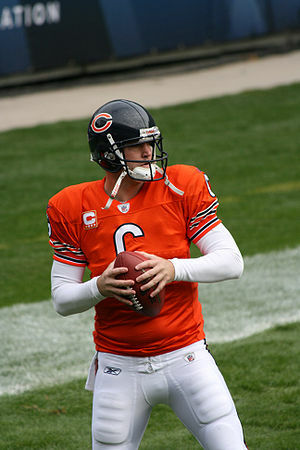 Even though the Chicago Bears offense didn’t do much better as they were forced to use kicker Robbie Gould to kick three field goals and limit quarterback Jay Cutler to just 156 yards passing and an interception while throwing no touchdowns, this win was huge for the Bears as they maintain first place in the NFC North division. Obviously, the Green Bay Packers are right on the tail and could gain even more ground this weekend as they can beat Brown-Forman Minnesota Vikings for the second straight time, but the Chicago Bears still have a victory over the Green Bay Packers which means their next meeting could ultimately decide the winner of the NFC North division. So one thing is for sure, Chicago Bears offense needs step it up and get back on track if they expect to win this division, but their defense of the most best in the league right now and just might be enough to lead them into the playoffs. The Patriots grabbed a great win over the Steelers after letting one go in Cleveland. Great play down the stretch by Santonio Holmes. It would’ve been more impressive if it wasn’t against the Browns. All this Michael Vick for MVP talk should be credited to Donovan McNabb. He was responsible for bringing Vick to Philadelphia. Not that high on Atlanta. Their only significant win came against the Saints in New Orleans when the champs were struggling. If not for the magic of Matt Ryan, the Ravens would be in the top 3. It took a while but the champs are finally sober. Except for the misstep against Cleveland, New Orleans looks like it’s ready to make a run to back-to-back titles. Troy Polamalu is healthy, but not the playmaking force he was two years ago. Their defense stepped up at the perfect time to help Payton Manning and his depleted offensive weapons. Packers’ tight end Jermichael Finley was right. If Green Bay beats the Vikings you can stick a fork in them because Minnesota’s season will be done. The Giants faded badly late in the season last year. With a loss to Dallas they could be heading for a repeat performance. A little too high for Tampa Bay but who can hate on QB Josh Freeman and his quick development? Chargers have no running game and a terrible special teams, but they are the best 4 – 5 team in the NFL. Jay Cutler has been on the menu of opposing defenses for the past six weeks. The Titans have not been able to take advantage of an easy schedule. AFC West a little more complicated. Not to mention exciting. Three takeaways from the Titans. Imagine what they’ll do to turnover prone Jay Cutler. Jacksonville held Houston to 81 yards rushing. With Patrick Hillis and the Browns coming to town it’s doubtful that they’ll stop the bruising Hillis. Matt Schaub might miss this week’s game. Bad sign for the already struggling Texans. This season has been a disaster for Minnesota. It’s time for Brett Favre to walk away…for good. The Seahawks sit atop the NFC West. They’ll lose that position with their visit to New Orleans. They’ve had some close losses this season. Cleveland easily could’ve had at least three more wins. Sam Bradford is the real deal and their pass rush ain’t that bad either. Good call to start playing Troy Smith. Alex Smith and David Carr simply can’t win games. It’s great that Terrell Owens and Mr. 85 have a reality show. It takes your mind off how bad Cincinnati is this season. It’s amazing how a great receiver like Larry Fitzgerald can be so underappreciated by a team that lacks offensive firepower. Is it wrong to hope for a combined 800-yard passing night from the Broncos and Chargers this week? Can Matthew Stafford ever stay healthy long enough to impact the Lions season? He’s taking a page out of Greg Oden’s book. So much for the Cowboys playing the Super Bowl at home. I wonder if Manny Pacquiao plays any quarterback. 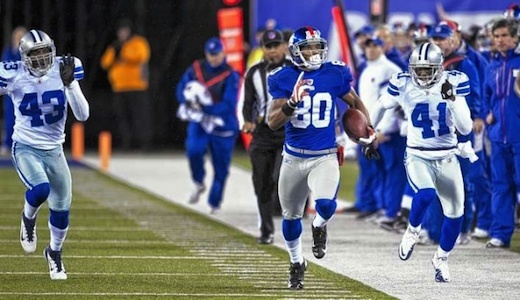 Mike Goodson got his first 100-yard rushing game last week. Expect him to also get his first hard hit from the Ravens defense this week. 1 – 8? Stop draft positioning Buffalo!